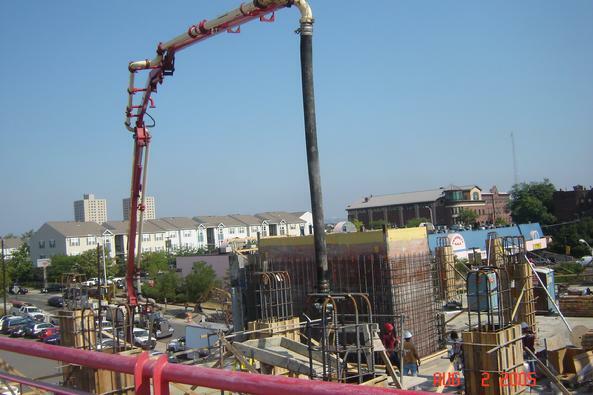 Rocket Construction has been successfully completing numerous concrete projects throughout New Jersey since 1982. We are dedicated to delivering a high quality concrete product in all phases of the industry including: foundation work, flat work, post-tensioning, filigree, and high rise concrete structures. Click on the on the Experience tabs and see some of our wide range of completed and Award Winning projects such as: The Air Traffic Control Tower at Newark Airport, the 10,000 cubic yard FedEx Hub Facility in Woodbridge, the Roadway, Clubhouse, and Grand Stair at Liberty National Golf Club in Jersey City, the EMPTY SKY NJ September 11th Memorial in Liberty State Park, the JFK Hospital Expansion in Edison, the FedEx Hub Expansion (Phase 2) in Woodbridge, and the Overpeck Park Creek Retaining Walls in Englewood. All projects are located in New Jersey. Please contact us and learn how our experienced staff can bring your next project in SAFELY and ON TIME.